76% increase in conversions, 30% speed gain, 88% performance improvement, five times lower data usage, and 23% increase in the number of mobile searches. These benefits have been enjoyed by the major players in the global digital economy, including Twitter, Washington Post, Forbes and Virgin America. How? They adopted PWAs in their applications. PWA stands for an app which can be installed in your system. It uses the data cached during your previous interactions with it to enable working offline or without a stable internet connection. Progressive Web Apps (PWAs) are transforming the practices and standards of the mobile web into native app-like experiences capable of accelerating transaction processing for mobile shoppers, site searches, and service delivery to levels that consistently outperform even the most responsive legacy sites. With 635,091 buyers from more than 150 countries trading on its platform and serving over 200 countries and regions, Alibaba is the world’s largest B2B marketplace catering for manufacturers, suppliers, importers, and exporters. Features such as “Add to HomeScreen” led to a monthly increase of active user rates by 14% on iOS and 30% on Android devices . Developers working for Fandango have a long history of agile development, continuous integration, and weekly releases. 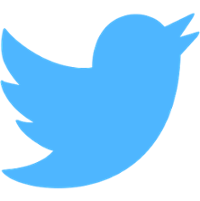 Moves toward mobile UX integration began with a scheme enabling Twitter users to buy tickets with one click. Moreover, the company is testing a system where a smartphone image can serve as a digital movie ticket. The Fandango Progressive Web App achieves a 30% speed gain over the loading of its desktop website and a 50% increase over its native apps for Android and iOS. But the performance of its beta (around six months online) on the Lighthouse index could use some developer input, with a score of 17/100 for the delivery of its first interactive page. Granted, this is mainly due to the number of graphics (e.g. movie posters) PWA scores 100/100 for its text compression, WebP images, and the ability to avoid enormous network payloads. After adopting an app-only strategy in 2015, Flipkart (India’s biggest eCommerce site) turned to Progressive Web App technology as a way of enabling visitors to work offline, access the mobile web instantly, and increase their engagement. 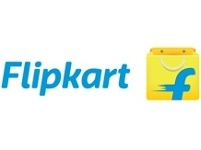 Their Flipkart Lite app has three times lower data usage than its native mobile predecessor and has generated a 40% higher re-engagement rate among the first-time visitors.Compared to the previous mobile experience, the time spent on the site has tripled. Its “Add to Homescreen” icon has generated a 70% higher conversion rate.. Known for its superfluous quotations, numerous ads and slow loading times, Forbes.com turned to Progressive Web Apps for its new mobile site which - Forbes says - is capable of loading in 0.8 seconds (compared to the 3-12 seconds of its previous mobile experience). The Forbes site includes a new story format called Cards which is based on the layout of Snapchat Stories. Cards may be swiped through and can feature photographs, video, infographics or quizzes. Furthermore, Forbes developed Fluid, a new format for its in-house advertising designed for faster loading on mobile devices. Consistently one of the highest ranking PWAs for eCommerce, Jumia Travel primarily caters for vacationers and business travellers on the African continent. With around 95% of prospective travellers in Africa’s most populous nation, Nigeria, preferring a browser over a mobile app, a highly optimised Progressive Web App experience has reaped dividends for the company. Jumia’s PWA uses five times less data than its native apps for iOS or Android and has reflected a twelve-fold increase in traffic. Conversion rates for PWA transactions have risen by 30%, and the bounce rate on Jumia Travel’s mobile site has dropped by 50%. Lancôme, one of the world’s leading luxury beauty product brands, felt the need to up its game for mobile users when its mobile web conversion rate topped out at only 15%, compared to 38% for shopping carts on its desktop site. This was primarily due to the slow access and transaction times for mobile visitors. Lancôme launched a PWA with Mobify, which reduced the time for each page on the site to become active for mobile visitors by 84% and bounce rates by 15%. The number of mobile sessions on Lancôme’s site increased by 53% and conversion rates rose by 17%. Their PWA has a performance rating of 94/100 on Lighthouse, an automated tool for improving web page quality. With a cab service that drives mobility for a billion Indians, Ola offers a PWA which is allegedly 300 times smaller than downloading the Android app and 500 times smaller than downloading their iOS app. Repeat visits to the site consume as little as 10KB, and the app’s low data consumption translates to a 3.4-second first visit, and less than a second for repeat visits. It’s also available for Windows Phone. “Dedicated to making flying good again with brand-new planes, in-flight internet access, leather seats & award-winning service”, Virgin America waited until 2016 to enter the mobile app ecosystem in a marketplace where 47% of online travel shoppers routinely expect a web page to load in two seconds or less. Worse, 53% of customers polled by Google will abandon a mobile site if it takes more than three seconds to load, whereas the average mobile page takes 22 seconds. Native apps for Android and iOS followed, and with the acquisition of the company by Alaska Airlines, Virgin America’s PWA mobile site went online five months ago, with speed gains in page loading of its mobile UX of around 30% and 50%, compared to its desktop site and mobile app performance, respectively. On the Lighthouse index, the Virgin America PWA (still officially in its beta phase) scores 81/100 in its time to deliver an interactive page, so there’s still some room for improvement. In June 2015, The Washington Post with various other publishers and technology companies created the Accelerated Mobile Pages Project, a Progressive Web App development platform which enables The Post to publish over 1,000 articles each day, with average load times of 400 milliseconds - an 88% performance improvement over their traditional mobile website. PWA technology has also seen a 23% increase in the number of mobile search users who return to the site within 7 days. Progressive Web Apps are steadily gaining ground in the online marketplace. Companies as diverse as The Home Depot (home improvements, renovation, and tools), Pure Formulas (organic vitamins and health supplements), and 5 miles (the used item sales platform) are among the adopters. If you’re still on the fence as to whether PWA might work for you, the technology’s pioneer, Google, hosts an information resource and news forum with case studies and the latest developments.